International Airlines Group carried more than 100 million passengers in 2016, a record for the group. In total, Aer Lingus, British Airways, Iberia and Vueling carried 100,675,056 passengers which was up by 14 per cent compared to 2015. 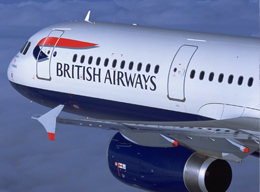 IAG chief executive, Willie Walsh, said: “This month, IAG celebrates its sixth birthday and our airlines continue to go from strength to strength. “Last year we carried more passengers than ever before with our flights 81.6 per cent full. “In addition, Iberia was the most punctual major global airline in 2016 and its subsidiary Iberia Express was the best performing low cost carrier in the world.